The government is providing funding of £150 million per annum to provide new and substantial primary school sport funding. The funding is being jointly provided by the Departments for Education, Health and Culture, Media and Sport, and will see money going directly to primary schools to spend on improving the quality of sport and PE for all their children. 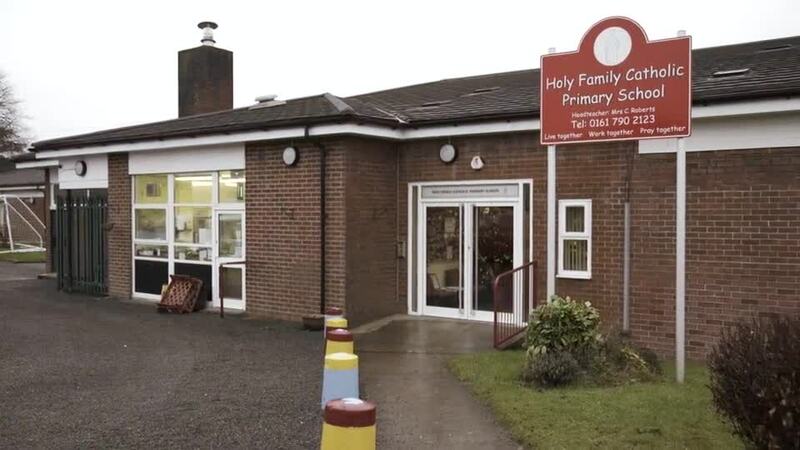 Each school will receive funding based on the school roll - here at Holy Family, that will mean £17,780 solely for developing the quality of Physical Education in school. The money can only be spent on sport and PE provision in schools. Our funding is enabling us to work alongside Premier Sports to ensure all children have access to high quality curriculum provision and high impact physical activity breaks. At Holy Family we have ensured that high quality P.E provision is sustainable through CPD delivered by Premier Sports and Abilgail Bibby Dance School. Staff have an awareness of how P.E is assessed using Premier Sports online portal. The introduction of activity breaks, led by coaches from Premier is impacting in the breadth of provision as well as challenging children to reach the performance levels they are capable of. Lots of opportunities are provided at break times and lunch times for children to engage in a full range of sporting activities. All children participate in the Golden Mile every week where they build up the distance travelled so developing their personal best and encouraging healthy lifestyle. Extra curricular sports clubs are on offer five days a week where children can participate in a range of activities. This funding also supports our partnership with ATSA allowing children to comete in a variety of sports throughout the school year. An increased range of physical activity clubs with increased participation. Improved pupil attitude towards P.E and sport alongside a raising of attainment. To see all the after school activities that Premier Sports are running this term click on the logo and enter M28 1AG in the 'location/postcode' search box. You are able to click 'more info' to see a full description of the course.